Set in a far future 'post, post-apocalypse', four non-human races seek to build a new society for themselves after barely surviving a genocidal war. Has EVERYTHING you need to play. excellent game system highly recommended. Long story short... I gave it a mixed review, but most of that had to do with personal tastes. It's certainly well illustrated and decently written. I think it could have been streamlined a bit and the game does seem to suffer some bloat, but once you're familiar; there's a lot of material here that should assist with getting a session of two with your group. The setting material was my favorite aspect of this RPG. I'm extremely disappointed and annoyed that the PDF does not have a detailed table of contents. All it has is a link to the timeline. This is a large book, and information on any given topic is often scattered all over the place (for example, discussion of weapon keywords near the middle, but tables for weapons way in the back). Without functional TOC links, it makes it a real hassle to find what you're looking for. At the asking price, I feel a little cheated. My GM's PDF from Kickstarter had a working TOC, so why doesn't this $29 version have it?!? Hi James, I'm sorry for your trouble. I think you might accidentally be using the Optimised PDF (smaller file size, no hyperlinks, no bookmarks, etc...) rather than the standard PDF. This is the same file that your GM has access to from the Kickstarter. Ah, you're right, my mistake. I had just assumed the only difference would be in the resolution of the art or something like that. Thank you for your quick response. I have a minor gripe. While I understand the thought process behind it I personally hate having my PDF marred with a watermark. If you bought a physical copy you wouldn't have your name and order number across every page and so ultimately you would hope that would apply to the PDFs too. 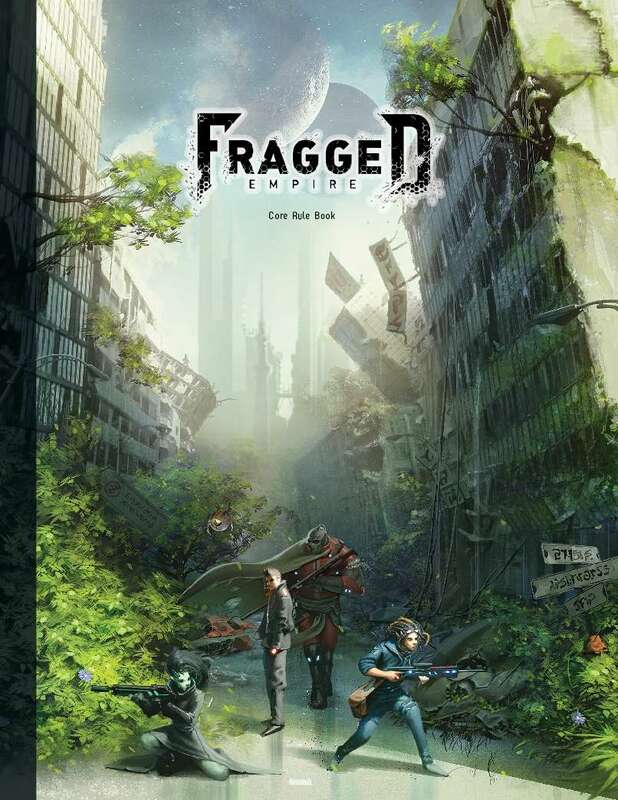 As far as I know (though I have no proof either way), the watermark is added by DriveThruRPG and seems to be present on even freely distributed stuff. I therefore suspect that it isn't a choice for the publisher / author. Does anyone know if this will be a POD. Sorry, there are no current plans to make this POD (mostly due to me being very busy). If you get some free time I hope you'll look into it. My whole group is interested in this game. It's current price from the site just isn't feasible for any of us, sadly. Looks really beautiful. You know that the prices on their website are in Australian Dollars, right? If you're in the USA, it's not gonna be $100. It's gonna be more like $80, with the shipping included.